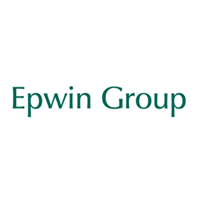 Epwin Group Plc (LON: EPWN), the low maintenance building products manufacturer, supplying businesses in the Repair, Maintenance and Improvement (“RMI”), new build and social housing sectors, announced today its trading update in respect of the year ended 31 December 2018 and notice of its full year results. The Group’s revenue and underlying operating profit, before non-underlying items, exceptional items and discontinued operations, is anticipated to be within the range of market expectations, with leverage at less than 1x underlying EBITDA. This performance was achieved despite market conditions remaining challenging over the year, with input cost inflation and consumer confidence continuing to be adversely affected by macro-economic uncertainty. Substantial progress has been made with the Group’s site consolidation and rationalisation programme. Having exited the Cardiff fabrication plant and Macclesfield extrusion facility during the course of 2018, the Group also disposed of its non-core glass sealed unit manufacturing operations on 8 January 2019 for a cash consideration of £0.1 million. The market for glass sealed units had deteriorated over the past twelve months, with significant over capacity, price competition, increased costs and restricted supply of float glass resulting in the operation being loss making. The Group will realise an exceptional loss in discontinuing this business, however, it is the Board’s view that even with significant investment the operation would be unlikely to return to profit in the short term. These steps, along with other actions continuing into 2019 are allowing the Group to focus on its core operations and investment in areas where it has significant market presence. Our strategy continues to be based on operational improvement, broadening the product portfolio and capabilities, selective acquisitions, cross selling and market share growth in key sectors to build a platform for future growth. Reflecting this, the Group has planned a significant new facility in Telford which will consolidate window system warehousing and finishing activities in one more efficient location and anticipates the launch of its new aluminium window system in the second quarter of the year along with other selective range enhancing products being planned. In anticipation of the UK leaving the EU at the end of March 2019, the Group has been working with its raw material suppliers and overseas customers to mitigate, where possible, the potential short term consequences of a hard Brexit. Nonetheless, with continuing economic and political uncertainty, market conditions are expected to remain challenging in the near term, with the key RMI market anticipated to be flat to down during 2019. The Group will announce its full year results for the year ended 31 December 2018 on Wednesday 10 April 2019. “The Group’s performance during 2018 was relatively robust, given the macro-economic uncertainty, a depressed RMI market and the many changes we are making to the business. We have continued to progress with our strategy of site consolidation and broadening our product portfolio, as we continue our operational transformation, alongside advancing our product offer and market reach.